It's official: summer is ending and the first few nippy gusts of fall have already started to blow in. The only thing sadder than this abrupt change in season is the inevitable changes that also have to take place to your wardrobe, makeup, and skincare routine. Luckily, Ulta's 21 Days of Beauty is here to make the overhaul of your life a little bit easier. 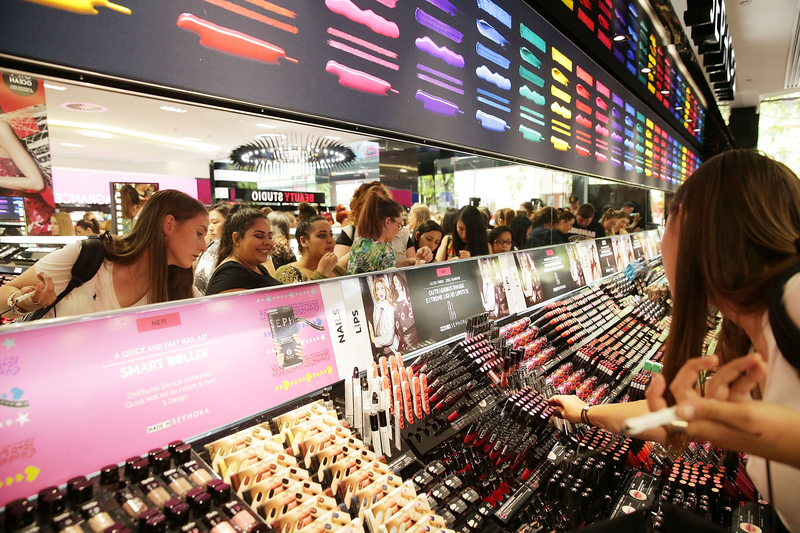 The event is a huge blowout sale of beauty products that will have you entering back-to-school season with a fresh dose of serious makeup game. As part of Ulta's 21 Days of Beauty, the site is deeply discounting a whole slew of your favorite products, from haircare to skin care and everything in between, with a different deal each day to help put a little more spring in your step as you head into the fall season. Even cult favorites are getting the bargain basement treatment, meaning you're going to look more gorgeous than ever and still have some extra bucks to splurge on the new you. If you want to indulge in this sale wisely, make sure to pick up products that are going to help ease you into the new season. If you need some help curating your shopping list, check out these 13 on-sale items below to help make this whole process a lot more glamourous. Air drying is cute and all in the summer, but come winter when your hair turns into a straight-up sheet of ice that chips off your head, you're going to rue the day you decided not to invest in a really good hairdryer. Fall days can be dreary enough without your facing being as dull as the leaves filling up the sidewalk outside. Just because summer's over doesn't mean you can't still smell like a tiki party. Close your eyes and pretend you're being sprayed by a fine ocean mist as you jet around on your motorboat. This oil has an absolutely fanatical fan base, and now that it's half the price, it's the perfect time for you to become equally diehard. This lotion is basically a tropical vacation in a bottle. If you just keep slathering yourself in sea salt, summer can never come to an end! As that tan fades, you're going to have to invest in a lighter shade of foundation anyway, might as well make it a fancy one. Cling to those golden days of summer for just a little bit longer by putting a little glimmer all over your eyelids. Not that anyone's going to see how hairy your legs have become for at least another six months. You know what they say — fake it 'til you make it. The perfect deep red to give you hope that winter might be a little bit fashionable after all.